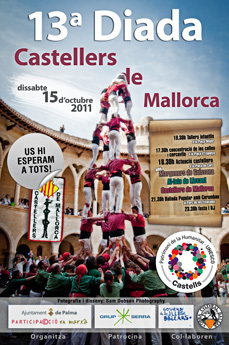 Tomorrow, October 15th, three Castellers organisations will gather in Palma to demonstrate their skills. Castellers are people who form Castells (human towers), a spectacular demonstration of strength, balance and courage. If you have never witnessed this very Catalan tradition, now is your chance. Only last year (2010), Castells were declared amongst the Intangible Heritage of Humanity by UNESCO. Three associations will participate tomorrow in Palma, Castellers de Mallorca, Al·lots de Llevant and Margeners de Guissona. Guissona is a place halfway between Barcelona and Andorra, not far from Manresa. The main event will start at 18h30 in Plaça de Cort, but, there will be a workshop for the youngsters at 10h30 in Plaça Major and a Ballada Popular at the Parc de les Estacions at 21h30. The Ballada Popular will be performed by Carambau, a Mallorcan folklore troupe. 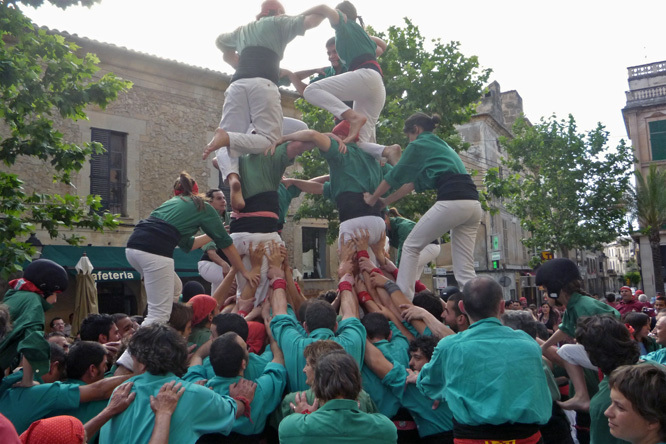 Should you go to see the dare-devil performance, you might want to watch out for the Faixa (sash) worn by the team members to support the lower back and to give other Castellers in the team a grip as a foothold or handhold when climbing up the tower. Faixas come in different lengths depending on the team members’ position and can be up to 12 m long. There are a multitude of Castell structures, all of which use a Pinya ground-level base, often composed of several dozen people. 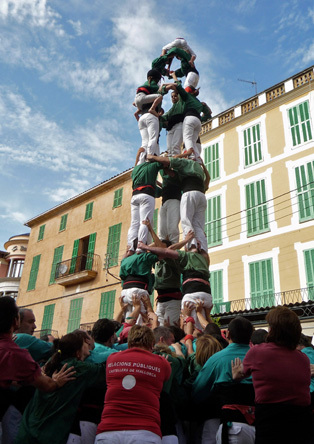 There are structures of one, two, three, four or five persons per level, and Castells of six, seven, eight and nine levels are the most commonly seen. On rare occasions, a ten-tier structure is performed but, I have never witnessed one myself. The sporty activity is not without dangers. Accidents are rare but, are known to have occurred. I witnessed one tower collapse two years ago in Manacor, a scary experience. There have been fatal accidents as well but, few and far between. Let’s wish the brave performers the best of luck for their entertaining if breathtaking acts. 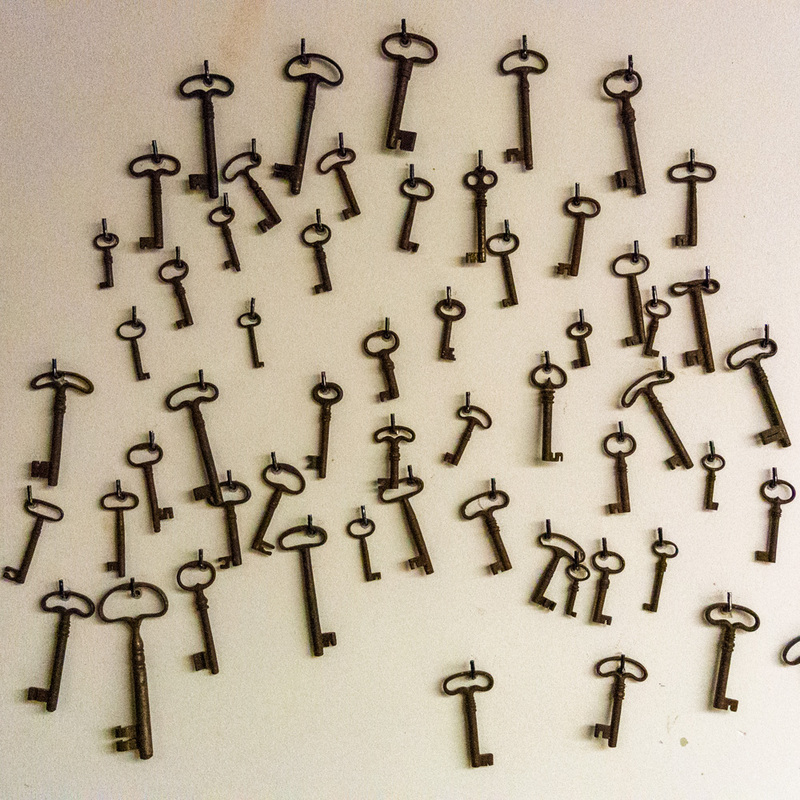 The photos were chosen from my archive. They were taken in Manacor, Mallorca, Baleares, Spain. The date: May 30th, 2009. The time was 17:51:46 and 17:53:18, respectively.